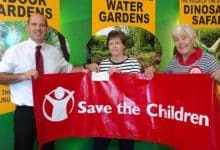 Bents Garden & Home has presented St Rocco’s Hospice in Warrington with a cheque for £26,204. 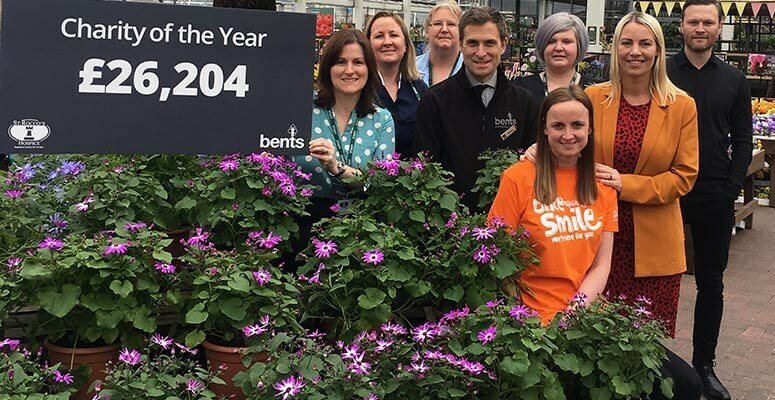 Customers and colleagues have been generous in helping Bents raise the amount for its 2018 Charity of the Year. This is money which will help the facility care for adults living with a terminal illness. Says Rachel Ingham, St Rocco’s Fundraising Manager,: “We were thrilled to be the Charity of the Year for Bents. It has been wonderful to work with them. They’ve been supportive, raising a fabulous amount to help us care for our patients. 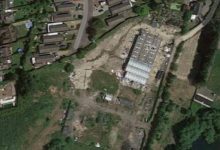 “As well as the Bents’ Ball last summer, they have taken on some amazing challenges. These include cycling from Holyhead to Cardiff and entering an all ladies team in a Dragon Boat Race. Says Matthew Bent: “We’re delighted to have raised so much for St Rocco’s. I would like to say a big thank you to all our customers and colleagues who have helped to make the campaign a success.